Last week, toy maker Build-A-Bear launched a one day promotion where kid shoppers could build and buy any of their stuffed animals for the price of their age. A four-year old could buy a self-customized bear for $4. "The Pay Your Age" promo was brought to a halt for safety concerns over long lines. Many guests were turned away after waiting several hours and took to social media to vent their frustration. Read the full story and our take in the On Advertising column below. In February, Taco Bell launched a franchise war with the release of dollar fries. They teased it with a suspenseful ad, “Web of Fries,” that led Josh Duhamel discovering a sinister plot. Last week, Taco Bell released a sequel to Web of Fries, which takes place in a “Demolition Man” world 20 years later. If you remember the movie, Sylvester Stallone wakes up in a dystopian future, where Taco Bell was the only restaurant to survive the franchise wars. Taco Bell is filling in the gaps of a 25-year old story, breaking down how they won the war. Hidden around the streets and corners of New York are stacks of cash and underwear. Fruit of the Loom incorporated the odd pairing for their latest guerilla marketing campaign. It plays off people’s tendencies to not notice some ads, and as they proclaim, their underwear, too. Fruit of the Loom hid multiple packages with $1,851 (the year the company was established) and Everlight underwear across the city; advertisements acted as clues to finding them. Of the 8.5 million people living in the city, only 6 found the prize. Facebook takes yet another page from Snap and reports that they’ll add augmented reality (AR) ads to the platform. This will give companies a new way to showcase their products on the largest social media site. 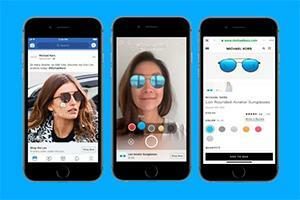 Instead of going into a store to try on a pair of sunglasses or a hat advertised on Facebook, users will be able to click the ad and use AR to “try on” the product. If you’ve used Snapchat, it’s similar to the fun filters but with actual products. 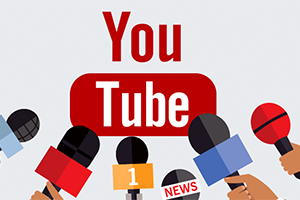 Google is investing $25 million to promote authentic news and crack down on fake news on YouTube. Engadget tells us, the platform will undergo several updates to boost developing national news and highlight local news in the US. The US and 16 other countries will also have access to new features on the home page such as Breaking News and Top News. 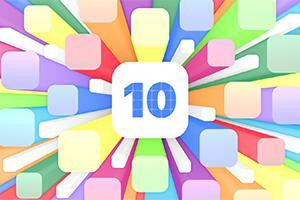 The Apple Store recently celebrated its 10th birthday. It’s hard to imagine, but there are people who can’t recall a time when their phone didn’t have access to an app store. It changed the way we consume information, gave birth to an entire job sector, and revolutionized entertainment. Every device became a handheld assistant with access to hundreds of thousands of apps. What are your favorite apps and how do they hold up to the top 10 most downloaded apps of 2018? Head over to our LinkedIn and let us know! Like many financial institutions, Credit Union of Southern California decided to streamline their checking accounts into two products. Their Classic Checking would be the basic, free version. The other would be Rewards Checking, an account that goes well above and beyond basic. It, obviously, offers rewards, along with earning dividends. It also provides the account holder some very effective ways to protect and recover from identity theft. Why wouldn’t everyone want the better account? Because it comes with a $5 per month price tag. Our job was to come up with ways to present Rewards Checking as the better choice without disparaging Classic. We also had to make the monthly fee palatable. The $5 fee was actually a bargain, we just had to underscore that fact. People pay considerably more to guard against ID theft. The dividends the account earns and the rewards that accumulate, could offset all or a significant portion of the fee. We started with a tease campaign to employees; they received a short rhyme alluding to the account along with a relatable promotional item. This is often a key element for any product introduction. You want employees to buy-in. You can accomplish that by having a little fun and educating staff about the product. We take a similar approach with the consumer, in this case, Members of the credit union. Mailers, in-branch flyers, posters and cute standees announced the new checking options. The $5 proved easy to spin because we really didn’t have to. Consumers have been conditioned to pay nearly that much for a cup of coffee and we took good advantage of that. We purposely didn’t play defense in copy. We opened with all the advantages before revealing the price tag. There are tried and true advertising tactics; one we used was reducing the monthly fee to a daily cost. Saying, “For 16-cents per day,” gives the price a prettier perspective. Most members opted for Rewards and to their credit, CU SoCal allows Members to make the switch to the Classic, free account easily if they prefer. Take a look at all the pieces we created for this campaign. When Build-A-Bear brainstormed the one-day “Pay Your Age” sale for kids to build and purchase a stuffed animal for the price of their age, someone should have pulled the fire alarm in that meeting. But, hindsight is always 20-20. In reality, it’s a great idea that is sure to drive traffic to the physical stores, while signing up customers for their free Bonus Club. In fact, it was so successful the police shut it down due to safety concerns over the crowd size. Here’s a few things you can do to ensure your promotion-turned-extraordinary is manageable and customers leave with a product in hand.